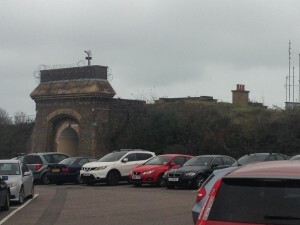 The Citadel: A Visit to the Detention Centre on Dover’s Western Heights | Unofficial Britain. This week I visited my mum in the idyllic village of Barham, Kent, home to celebrated racist David Starkey. She was there long before the historian though, and is a popular, active member of the community. Each week she visits an Algerian man called Abdelkader at Dover Immigration Removal Centre to have a cup of tea and a natter. 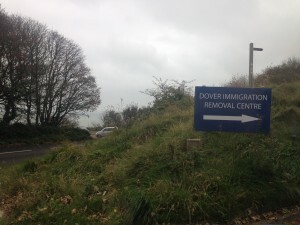 She is a volunteer for the The Samphire Project (formerly Dover Detainee Visitor Group) an organisation that provides emotional support and advice to immigration detainees. Yesterday she asked me if I wanted to visit Abdelkader with her. So I agreed. We take the car west, round the back of fields and farms and up onto the bland, rectilinear A2. We pass a honk of lorries on the other side taking goods to London and a righteousness of cyclists in a steady single file. Rain drops hard on the windscreen, Mum points out the names of little hamlets she might have chosen to live in; Barfrestone, Eyethorne, Shepherdswell. After a crap roundabout edged by a McDonald’s, Shell, Burger King and Pizza Hut, the road to Dover dips, revealing distant misty hills and the ramparts of Dover Castle. We pass the sign welcoming us to Dover, then an old paper mill, boarded up and earmarked for housing development. There are a few beautiful Georgian houses on the road heading to the port, but they cower beneath the presence of 1960s monsters. I used to work on board P&O Ferries and as we pass the port a splutter of teenage memories come to me; particularly Brendan, the ferry chef who knew Topper Headon. He had missing front teeth and a vicious smile. 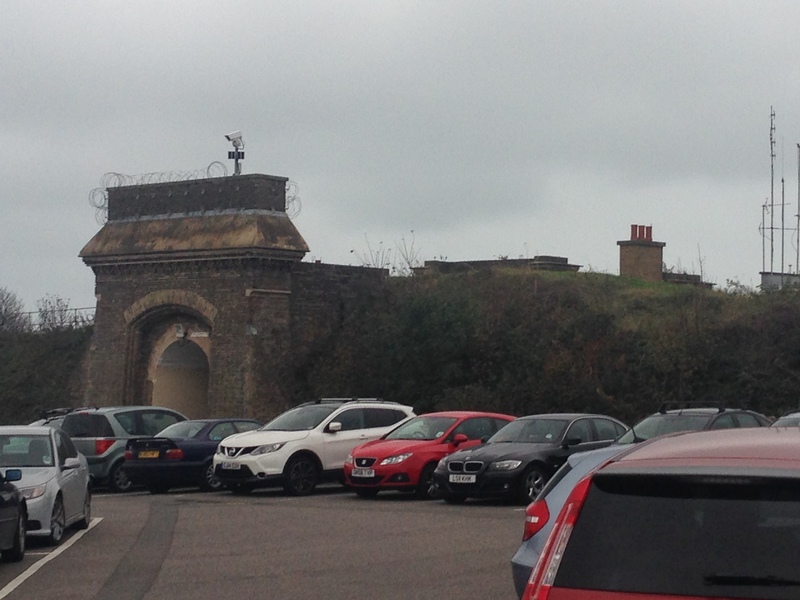 Did time in HMP Maidstone for GBH years back when street fighting was normal round these parts. 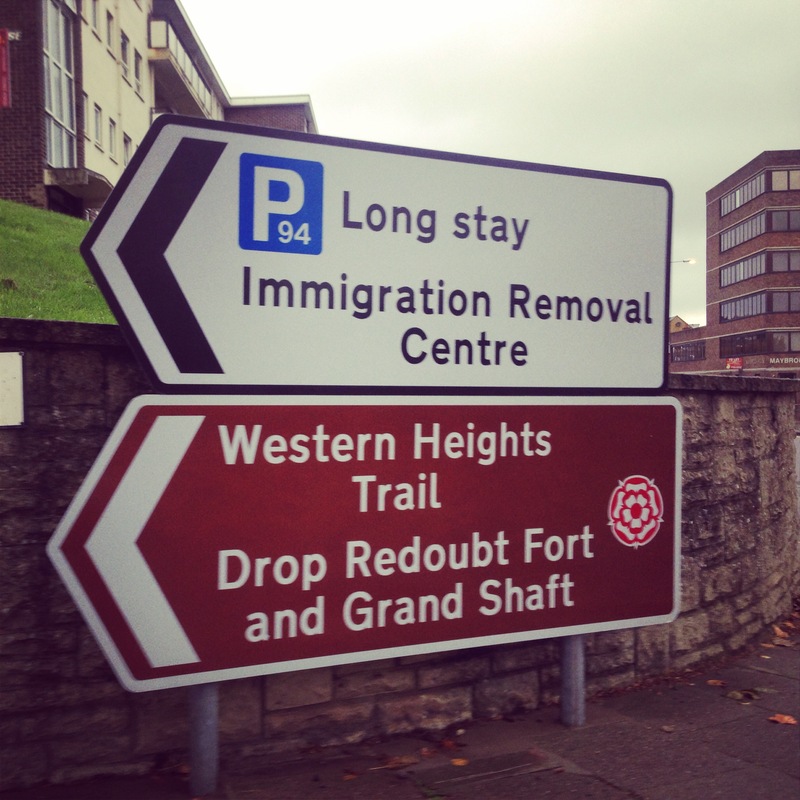 We turn left at a sign that points to ‘English Heritage Western Heights Trail’ and the detention centre. The detention centre is situated on an inaccessible part of Dover’s Western Heights. 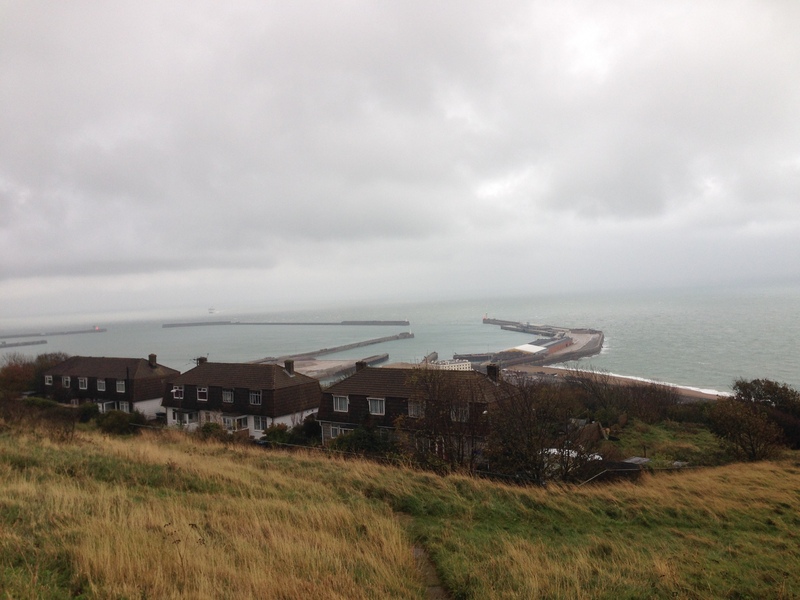 The Heights have been a fortified area since Roman times and are part of the Dover cliffs stretching south of the port towards Folkestone. In the winter they are unforgivably bleak, but they form a lovely walk for watching Kittiwakes, Chiffchaff and Whitethroats in the summer. 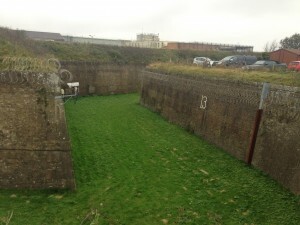 The red brick sections of the Detention Centre used to be ‘The Citadel’, part of a military barricade built to protect us from Napoleonic menace. In 1952, after plenty of use during the Second World War, the Citadel was converted into a prison. Then in 1957 it became a Borstal. A word that was threatened to me many times as a kid; a dystopian place of corporal punishment and bully boys my imagination would run away with. 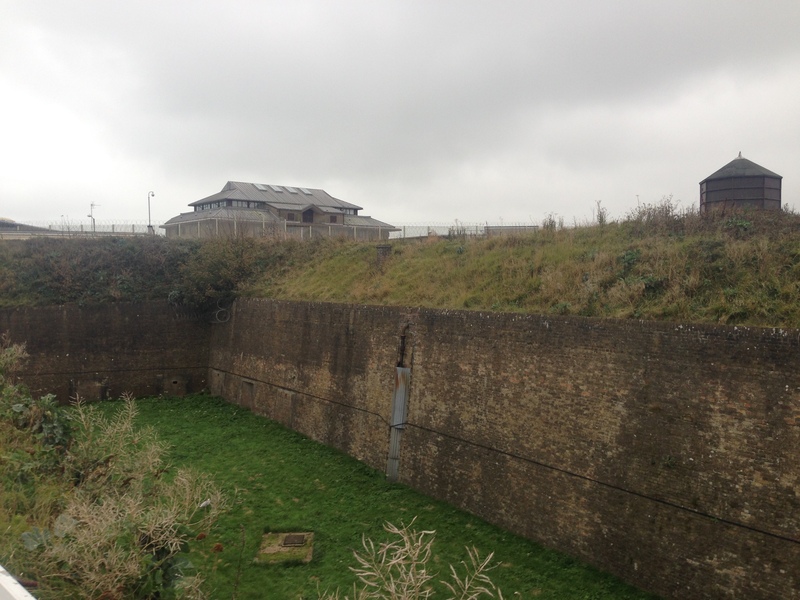 In 2002 it was transformed into the Detention Centre, at which we now arrive. We park up and head to a yellow mobile, the only splash of colour in a beige and grey complex. We sign in with ID, get orange wristbands and walk to the main gates. I hear a yelp of men, it sounds like a cricket appeal. At the gate we are instructed to empty our pockets. The guards recognise my mum. They seem amused that I’ve tagged along with her. They are less amused when I ask to take a photo of them. We have to leave everything in a locker, especially my phone, but even the chewing gum I have in my mouth has to be spat in the bin. The guards are charmless and, like all men who work in security, bored and unable to use their power for any worthwhile diversion. At least they are not G4S, I tell myself. After clearance, a lanky guard with a stiff back and a fastidious nature opens the second gate. He walks us along a yellow painted path. He tells us not to veer from it, even though there is nowhere to go. We receive more clearance at the next gate, the entrance to the Visitors Centre. Inside I have my wristband checked and my photo taken. The warden tells me that it’s a precaution to make sure I don’t switch with the person I’m visiting and they walk out free. Mum doesn’t need her photo taken. It’s a male-only centre. We sit down and wait for Abdelkader to come through security on the other side of the room. The chairs are comfortable but too far apart. There is a Nescafe coffee machine and a children’s play area that echoes with movement from the day before. Detainees are scattered throughout the space with family and friends. They wear a high visibility sash to mark them out from freely moving civilians. Unsurprisingly, Mum and I are the only white guests. The racial divide between detainees and the wardens is stark, a reminder that capital flows freely around the globe but humans don’t. Behind Mum, a youngish couple are in an embrace that I can only call desperate, despite trying to think of a different word. It is heartbreaking. They break their grasp and spend the rest of my hour there feeding each other dates and kissing, clasping, stroking faces and talking. Other groups included a very old south Asian couple, three lads visiting their friend who spoke in recognizable Hindi and one large man with a taqiyah sat on his own waiting for someone who never arrived. Abdelkader arrives and gives my mum a very warm handshake. He greets me equally. He is tall, bald and wears sweatpants with a faux leather jacket. His smile is infectious but I notice his teeth are too small for his mouth. We talk about a book I am publishing next year by Sam Berkson, Settled Wanderers; a book of poetry in translation from Saharawi writers. The Saharawi live in refugee camps near Tindouf in Algeria, having been forced out of the Western Sahara after Morocco invaded their country following Franco’s death in Spain. Abdelkader knows of Tindouf and we joke about the heat and hard life those who live in the Sahara endure. He tells me he is Berber, but that he grew up in the city. He doesn’t know the word ‘poetry’. I find it surprisingly difficult to explain, settling on ‘song words without music’. He understands and says the word ‘poetry’ three times, I assume to commit it to memory. We talk about the history of Algeria for a while. He tells me he lived in London for ten years, in Wembley and then Shepherd’s Bush before the police found him in the wrong place and discovered he had no papers to show. We discuss how expensive London is. He tells me he was paying £800 a month for a room. 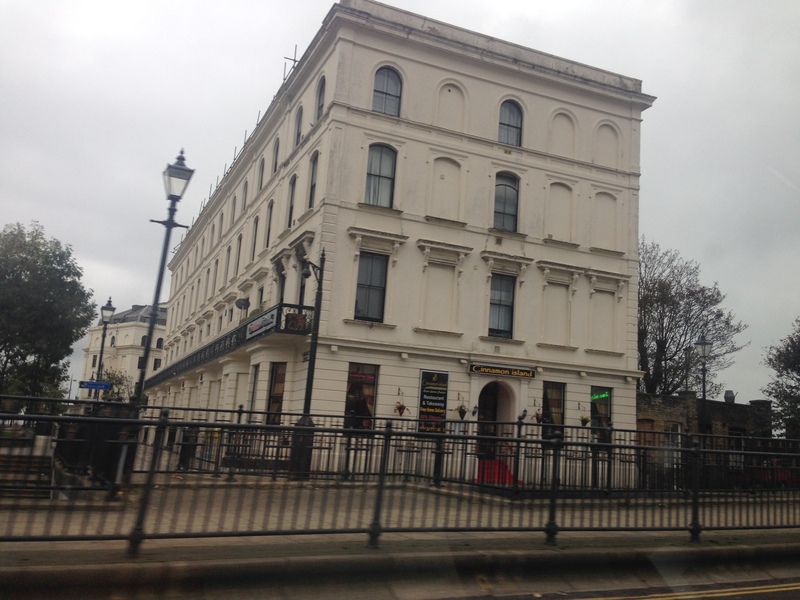 He knew another illegal immigrant who was paying £1200 a month for a room in Ealing. This was a blunt example of the black economies in our capital and the ready exploitation of the vulnerable. We chat about how early people in London get up, how fast the city lives. Mum asks what time he wakes up in the Centre. He tells us the guards open their room doors at 7:45am. But today they opened them at 8:30am because three detainees tried to escape last night. Abdelkader laughs at their folly in a resigned way. He has been waiting for bail and trial for nine months now, with no idea when he will leave the Centre. After an hour, our time is up and Abdelkader has to head back into the compound. He thanks us for coming to see him and tells me to look after Mum. On the way out I see a notice board above the window where I had my photo taken by the warden behind the desk. It looks like a school board – A4 information sheets headed by stretched and colourful WordArt. Clipart illustrations show what sports activities the inmates can take part in behind the barbed wire. A ‘racism will not be tolerated’ warning is laughably ironic. We sit and wait with some other guests to be picked up by the guard and walked back along the yellow lines to the front gates. 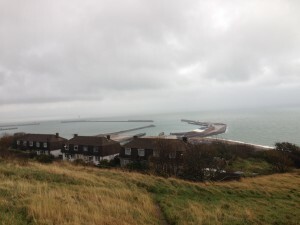 Outside, back on the Heights, I stop the car to get a good view of Dover port. To the left are the famous White Cliffs, to the right the Immigration Removal Centre followed by rugged Ministry of Defence training land. Down below ships pass each other on the calm sea. When we get home, we have tea and ginger nut biscuits. I watch Pointless on BBC One. Kit is a writer, editor and broadcaster. He co-founded Influx Press, a small indie that publishes ‘site-specific’ literature. 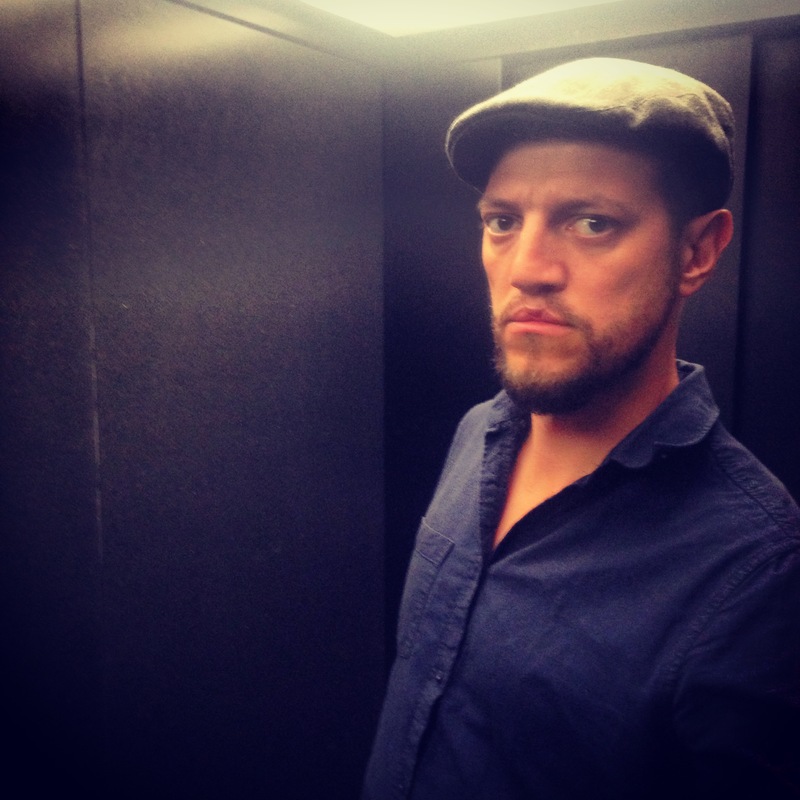 He hosts Mapping the Metropolis, a literature and urbanism show on London’s Resonance 104.4FM. He also curates the hashtag #LossLit on Twitter with poet Aki Schilz. Where is this crap roundabout with all these fast food joints in Dover? Or are these the names that have been changed to protect identities, including that of David Starkey? I was an inmate of Dover borstal Nov 61- May 63. Was in Walmer house . Am 75 now and it was o.k.